The Legend of Bagger Vance . 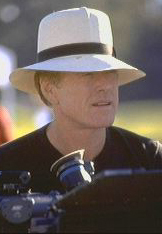 Robert Redford does not endorse any product, including my hats. But that is Robert Redford. He is wearing my hat. I hope he enjoyed my hat as much as I enjoyed his movie. WAIT! READ BEFORE YOU ROLL. Everyone wants to roll up Panama hats. Why? Why can’t people just be content to wear one, look great, feel cool, and get on with it? 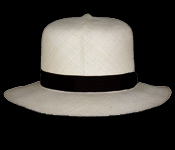 It is not the defining principle of a Panama hat that it can be rolled up. 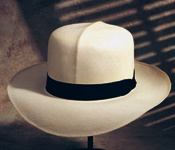 Now, having said that, if you really want to roll up a Panama hat, the Optimo is the style to roll. At least with the Optimo, when you fold it in half to roll it, you can fold it along the center crease that’s already part of the style. Then when you unroll it, the inevitable fold line will blend in with the style line. Now don’t come away with the idea that somehow my hats don’t roll and unroll as nicely as other Panama hats. They do. 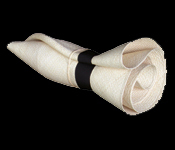 Straw is straw, and Montecristi straw is Montecristi straw. It’s just that you can’t realistically expect any natural straw hat to look as nice after it’s been rolled as before. 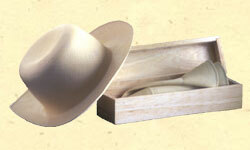 People often compare fine Montecristi Panama hats with linen. Okay, let’s suppose you pick up your linen suit from the cleaners. You take your crisply pressed suit home, roll it up, and pack it in a suitcase. 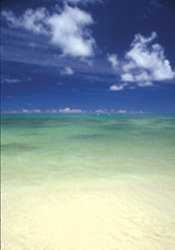 You jet off to your private island. You unpack. You and I both know that suit isn’t going to look like it did before it went into the suitcase. Same with a hat. And as with the suit, a little steam directed at the rumpled parts should spruce it up. For steam, try a tea kettle or travel steamer. Or just moisten the area you want to smooth. 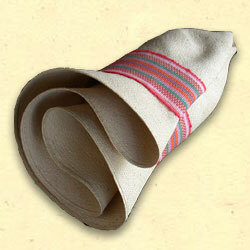 You can use a damp wash cloth or a spritz bottle. Don’t overdo it. Use a blow dryer to heat the moist straw. This is the same idea as steam—you get the straw hot and a little damp. Shape it with your fingers. Careful not to burn yourself with the blow dryer. On the crown, dampen and blow dry the outside while you put your fingers inside and use smoothing motions to restore the shape. 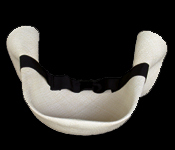 On the brim, dampen and blow dry the under side while you smooth from the top side. Either blow dry it forever, or leave it overnight to dry. 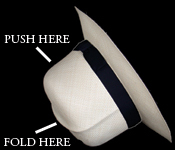 If you want to keep your hat looking as nice as possible, roll it as little as possible and as loosely as possible. Another way to go would be to just give it hell. Favor convenience and portability over the fresh-pressed look. Roll it up whenever you want ’cause that’s why you got it. Wear it in the rain. Sit on it. Whatever. Enjoy. Even though I discourage rolling up hats, I must admit that I once brought a Montecristi foldable hat as a traveling companion through Belize and Guatemala about twelve years ago. I loved the convenience of being able to roll it up and stuff it into my suitcase or daypack, and I loved having instant sun protection when I unrolled it. I didn’t care that it got kind of rumpled looking. It developed Personality. And it survived jungles, Guatemalan buses, sky-high Maya temples, sea gull poop, sticky grabby toddler hands, seriously intense sun, and a tropical downpour that felt like someone turned a lake upside down and dropped it on me. At the end of the trip, I think the hat probably showed less wear and tear than I did. I still have that hat (photo above). 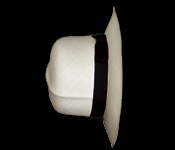 If you want to roll a hat, get an Optimo with a cloth inside band, not leather. Roll only if it’s important. Roll loosely. Do not store the hat rolled up. In the photo to the right, Maya women in Totonicopán, Guatemala, demonstrate another type of straw headwear.